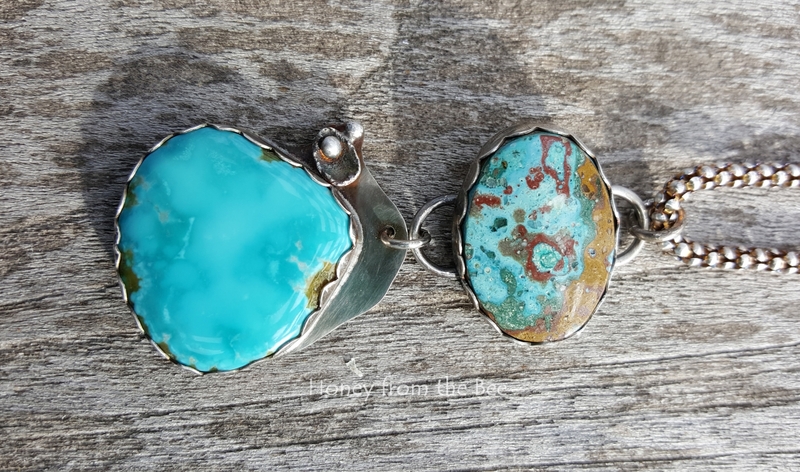 Ocean inspired Turquoise artisan pendant. 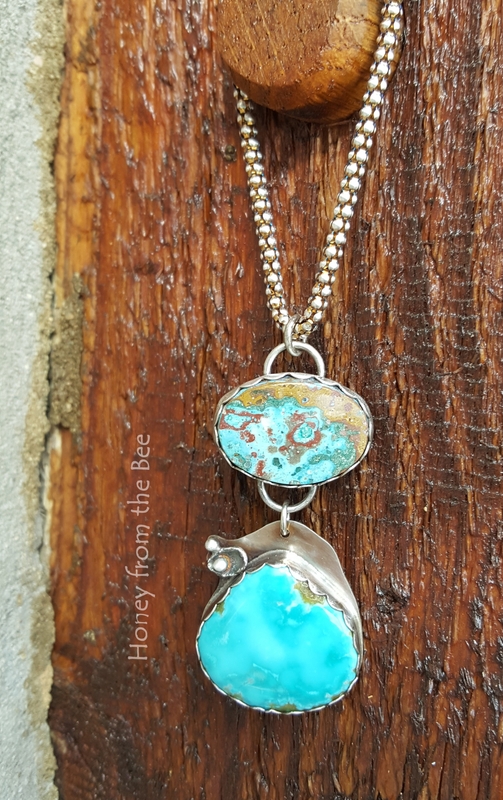 This Nevada turquoise teardrop takes my breath away. It is 28 cts of Nevada born turquoise. There is no question you feel like you could dip your toes in its depth. I was inspired by the interesting cabochons made from a material called Rainbow Calsilica. No one knows the origin, but it is man-made. They resemble Fordite (aka Detroit Agate) another man-made material, that has been created by taking chunks of the layers of paint used in painting cars over decades. I just love the colors and pattern! This cabochon reminded me of tidepools on the Pacific Coast. Some tiny sterling silver shells and pebbles add to the effect. 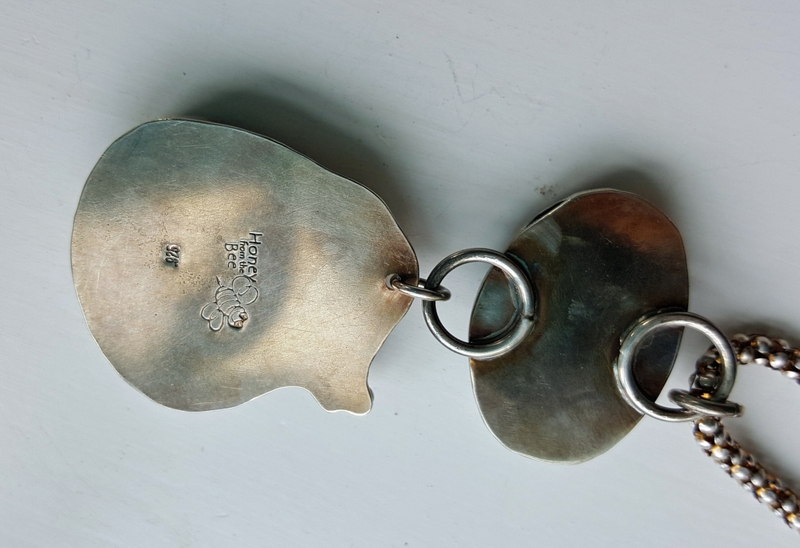 These were created in my studio from fine silver. I've set them all in sterling silver. 18" sterling silver chain with a golden patina. 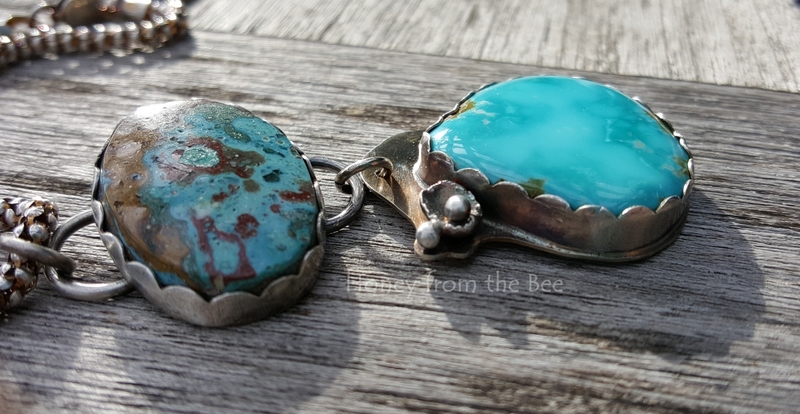 The pendant is just under 1.25 inches wide (turquoise) and just under 2.5 inches long from the top of the bail to the bottom of the pendant.